When you Adopt a Room at Ronald McDonald House BC, you give the gift of comfort to families staying far away from home, providing a familiar, welcoming space to come home to after a long day of treatment. Ronald McDonald House BC depends on community supporters like you to serve up to 2500 families a year. When a child is diagnosed with a life-threatening illness, their family needs to be by their side to support them during treatment. BC Children’s Hospital serves sick children throughout all of British Columbia and Yukon, meaning many families are faced with long distance travel and expensive accommodation. Often one or both parents are forced to take a leave of absence or quit their job altogether to focus on their child. 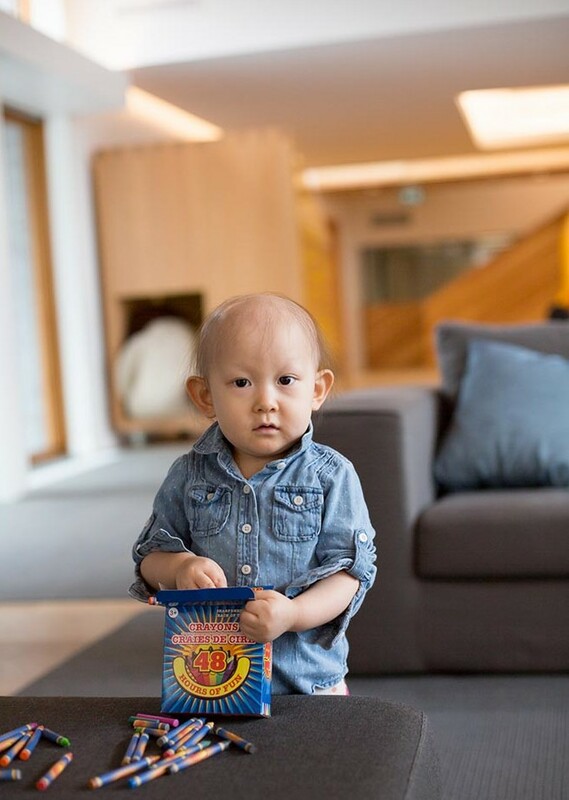 By providing a home away from home, Ronald McDonald House BC eases the financial and emotional burden on families, allowing them to focus on their child’s treatment and on healing together. The Adopt a Room program is an annual commitment of $5,000 over three or five years. Common area rooms are also available; please contact Sarah Catliff if you would like to know more about these opportunities. Download the Adopt a Room donation form. When you support our Adopt a Family program, your support helps offset the cost of a family’s stay at the House. It costs Ronald McDonald House BC $125 for one family to stay for one night, while families are asked to contribute only $12 a night. Your meaningful donation bridges this funding gap and gives our families a caring place to call home while their seriously ill child receives treatment. The Adopt a Family program is a commitment of $2500. Please contact Sarah Catliff if you would like more information. Download the Adopt a Family donation form. Sign up to get information from Ronald McDonald House BC straight to your inbox. We’ll email you every-so-often with inspiring stories, upcoming events, information about our mission and programs, and ways to get involved with the RMHBC community.